“Oh Franz – what a wonderful script, what an utterly compelling story. I had to keep checking various sources to see that it really was true! Simply amazing. Wonderfully told and a part to murder for for any actress! Many congratulations on shepherding this wonderful piece of work into the light and I do hope you have success in making it… by all means include my name on your IMDb page…I’m happy to be associated with such a great project. Much love – S” – Stephen Fry – now playing Goering! “A Remarkable Story” – Kate Winslet. “A beautiful story,” – Carice van Houten. “Do you have a part for me?” – Britt Ekland. 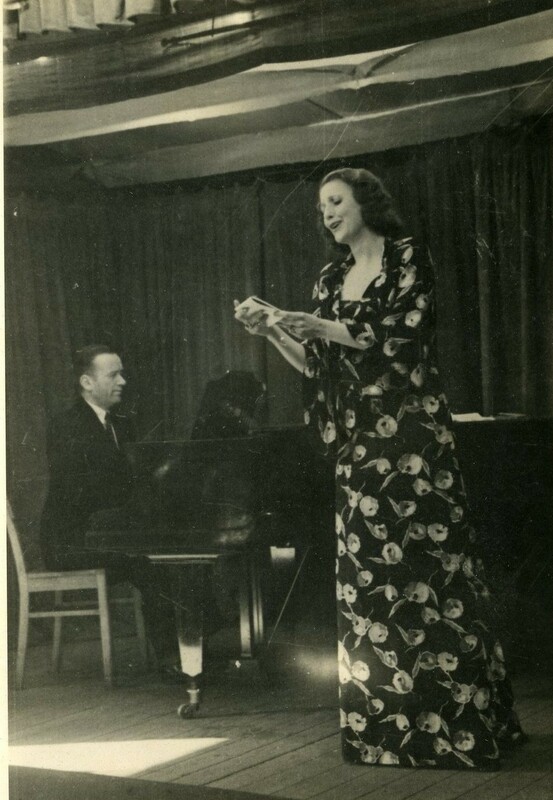 This amazing but true story is about a Wigan opera singer turned spy. 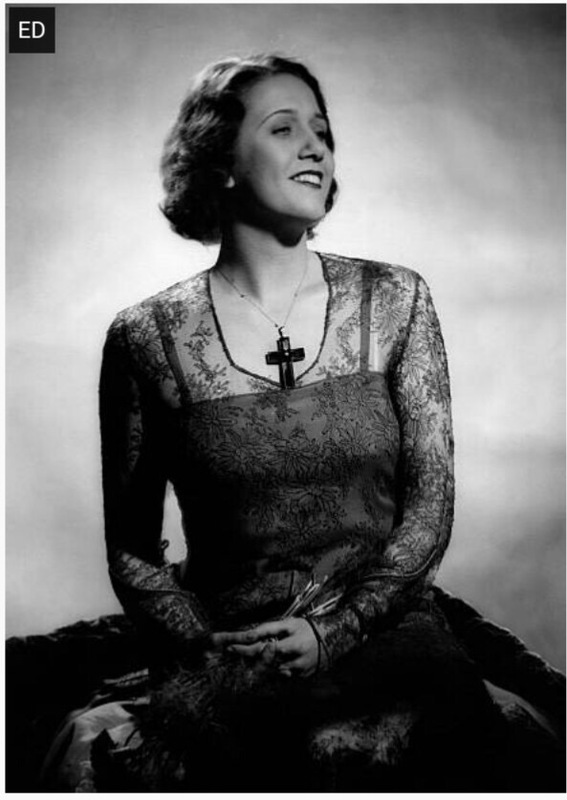 Margery sang for Hitler who filled her dressing room with dozens of roses, not realising that she had top secret messages concealed under her dress. Margery was with Hitler on his birthday when he was presented with the new Tiger tank so was able to get valuable information back to London which eventually resulted in a Tiger being captured in North Africa and taken back to London under Churchill’s personal orders. Now totally trusted by the leading Nazis she was even allowed to sing to British PoWs at Stalag IIID with whom she made many useful contacts, especially with another MI6 operative John Brown. Margery eventually gave evidence against SS officers at the London Royal Courts of Justice (The Old Bailey) after the war. The story about Margery and John recently came to light when the only then known photogaph of her (signed – see Press) came up for auction. Following the suggestion from Frederick von Saxe-Lauenberg extensive research we asked our writer Ralph Harvey to write the screenplay. Unexpectedly the research also took us into the details of John Brown’s involvement with Mosley’s British Union of Fascists and the inner workings of both MI9 and the SOE. The completed dramatic screenplay is now available either as a .pdf or FD10 file to seriously interested parties, as is our Sales Brochure for potential investors. Simply email franz@imperialfilmproductions.com for further details. She is wearing a full-length dress covered in POPPIES! !